CES 2013 is on in full swing and amongst the new cameras, televisions and mobiles being announced, there’s an announcement that could change quite a bit for gamers. 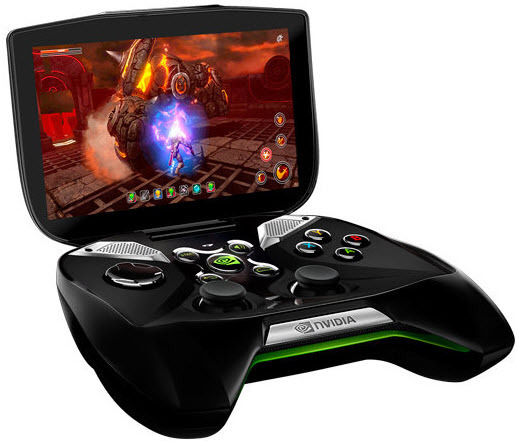 Nvidia unveiled its new handheld gaming console, called Project Shield as of now. This amazing Android based console employs the just revealed Tegra 4 for all the heavy lifting and will apparently be able to render PC and console quality graphics. Read on for the Project Shield preview and details about what you will be able to play on it! Project Shield basically looks like someone went and attached a screen to a console controller. The screen itself is a 5 inch 720P unit with a pixel density of 294 ppi, so rest assured, it’s a sharp looking screen. Not much else is known about the hardware other than the fact that it’s going to be running on the Tegra 4 platform, which Nvidia says is almost 6 times as powerful as the Tegra 3 in terms of graphics processing. It’s going to come with a quad core ARM Cortex A15 CPU, which is also much faster than current generation ARM Cortex A9 CPUs. Tegra 4 will include 72 GPU cores, and is said to be 6 times more powerful than the already formidable Tegra 3 GPU, which is used in devices like the Google Nexus 7 and HTC One X. Apart from this, the Tegra 4 and consequently Project Shield will be able to output full 4K UHD videos as well. There’s also a new image processing unit for better photos from devices with cameras and a homegrown LTE modem to be used in smartphones and such. With all this power, it’s supposed to consume around 4-8W of power, which is slightly on the higher side. On the connectivity side, the Project Shield preview at CES 2013 included a 802.11n-2009 2 x 2 MIMO WiFi compatibility for high speed streaming, which will serve a purpose detailed below. 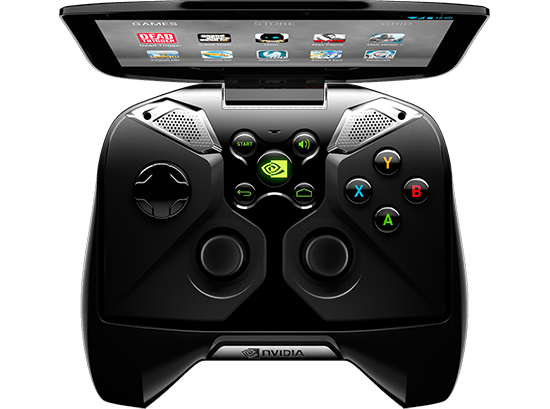 Nvidia’s new handheld console will come out of the box with Android 4.2.1 and the best part is that Nvidia is not going to stick on a custom UI, so the vanilla flavor of Android Jelly Bean remains intact. So here’s the absolute best part, since Project Shield runs on Android, all games available will run on it and that’s a huge library of Android games in itself. Now, Nvidia has gone one step further and Project Shield includes the ability to play PC games on it via streaming! You can play complete PC games with no loss in quality via streaming on Project Shield, and due to the high PPI screen, games look much sharper. According to Nvidia, Steam support is included as well, and you will be able to play Steam games with the right hardware. Even streaming to TV is supposed to come sooner or later. Surprise surprise, there’s no concrete date for the Project Shield launch but it’s supposed to land in North America sometime around Q2 2013. Pricing details haven’t been revealed yet either, but let’s hope that it’s priced well enough to be actual competition to other handheld gaming devices, even though it’s quite different from them. So what do you think about the Project Shield preview? Could it turn out to be one of the biggest hits of 2013 or will it go the Gizmondo or OnLive way? Drop us a line and let us know what you think!